Bay windows and Combinations windows are available in different sizes and designs for your homes and offices. We can easily install bay window in your large rooms. Bay windows are used to increase the flow of natural lights into your building room as well as provide great views of the outside that would be unavailable with an ordinary window. Windows are available in different sizes and designs. 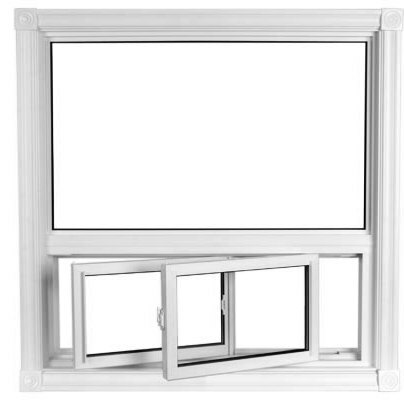 You can choose bay window and combination windows by different Style and Glasses also. We offer a comprehensive range of Bay Windows and Combinations Windows, which is ideally meant for large rooms. These big windows allow enough natural light and fresh air to enter the room. Moreover, these windows have easy installation and can be availed in different sizes, designs and glasses. Two similar (like casement-casement) or different windows (casement-slider or fixed-slider) are structured together to make stylish Combination Window. These windows add elegance to the decor of the room and are resistant to natural hazards.